Apart hotel Bellevue is situated at an entrance to Trogir. Tree stars of the hotel Bellevue guarantee you a comfortable stay in one of our apartments. Accommodation in one of the hotel Bellevue apartments meets the need of the businessmen that avoid city crowd, being in the same time in the city center . Hotel Belllevue is the ideal place for individual or family vacation. Apartments are modernly equiped: TV/SAT, telephone, airconditioning and modern interior design will satisfy the most demanding guest . There is a parking lot in front of the house that is reserved for our guests. 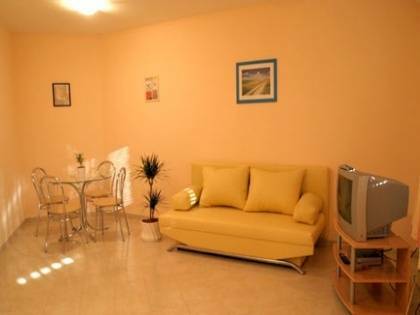 Apartment with 2 bedrooms Kitchen, dinning room, bathroom, 2 separate bedrooms, balcony, TV/SAT, air conditioning, telephone. 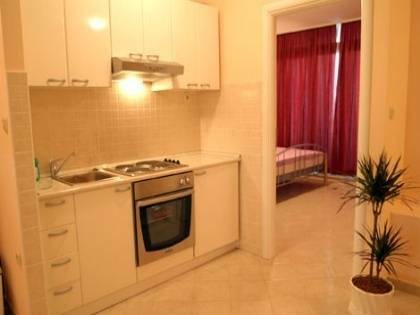 Type A6 - studio (2+2) Kitchen, dinning room, bathroom, TV/SAT, air conditioning, telephone. Trogir is situated in the center of Dalmatia, southern coast of the Adriatic Sea. The heart of Trogir is a small island situated between the hills of the mainland and the island of Ciovo. The coastline of Trogir comprises 20 islands . Our hotel is just 50 metres from the bridge over to the UNESCO protected old town of Trogir. The beaches along this coastline are beautiful and clean . Trogir is a town-museum in the very meaning of the word. Lovers of cultural and historical monuments, art, original architecture and nice alleys are given the opportunity in Trogir to learn about the manifold and complex heritage - from the Romanesque yard to the modern interiors. 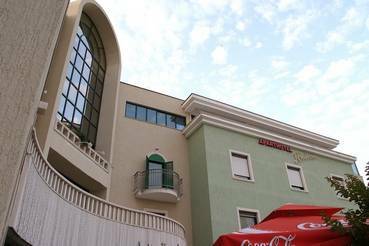 Aparthotel Bellevue is situated in an excellent location , 50mt from the bridge which is conected wih old town center. We are only 3 km from the airport Split. Aparthotel Bellevue has an ideal location, only 3km from airport Split, and only 30km from Split, 80mt from a bus station. Trogir is conected with all european metropolis organized network of plain trafic, road and ship lines.